Now that it's officially August, I feel like it's socially acceptable to start posting back-to-school related content. As much as I dread going back to school every year, the idea of back to school preparation always excites me. I love going back to school shopping, finding new study tips, thinking up lunch recipes, and preparing for a great school year. In years past, I've found that while you can't exactly make school enjoyable, there are certain things you can do to make school a lot more bearable! Today, I'm sharing some of my must-have items that have really helped me at school in the past, so you can have a great school year! S'well Bottle // I drink so much water during the school day (as per my 2017 goals) so naturally, I love carrying my Swell bottle around. I find that drinking water out of cute water bottles encourages me to drink more water and helps me stay hydrated. I have this pink one, but this palm one and this wooden one are both adorable! Patagonia // Y'all, I don't know how I would have gotten through the past school year without my beloved Patagonia pullover. I literally had to restrain myself from wearing it every single day - it was so cold in every single class I had last year, so I was always wearing my Patagonia, even in the warmer months. It was a huge lifesaver! Colorful Highlighters // I've said this before, but I am such a visual person. Highlighting stuff that I've written really helps me remember key facts and details. 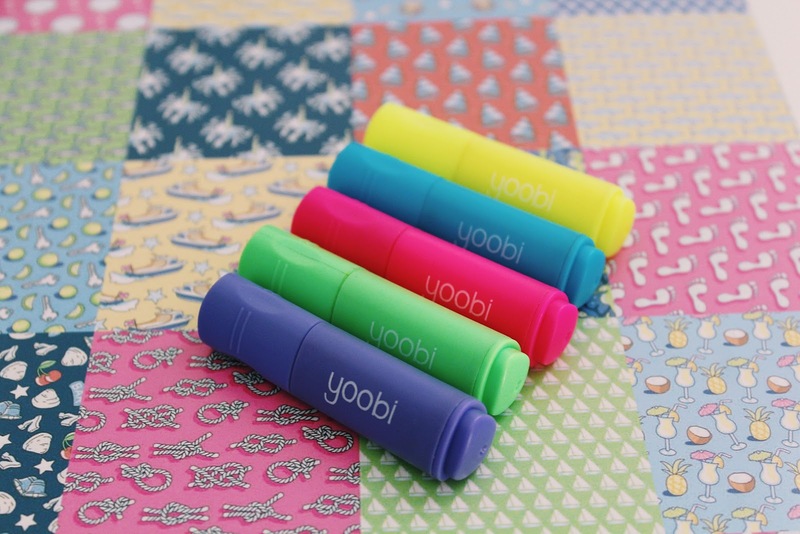 I've used these Yoobi highlighters for about four years now, and I have nothing but good things to say about them. They come in a variety of colors, last the entire year, and are so tiny and cute! An Agenda // I will never stop being an advocate for planners and agendas. 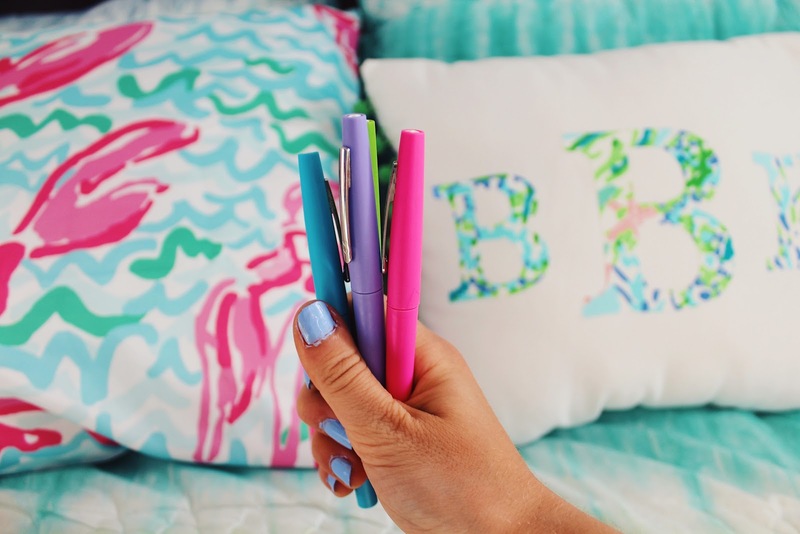 I have used Lilly Pulitzer agendas for the past few years, and absolutely love them! They are so bright and colorful (can we sense a theme here?) and really inspire me to remember to write things down in my agenda. This year, Sarajane from Sunny and Southern was kind enough to reach out to me and send me a Lilly Pulitzer agenda, and even added a personalized touch to it by monogramming it. Monogrammed agendas look so cute, so if you're in the market for a new agenda, definitely check out Sunny & Southern! The Best Pens Ever // These pens are my all time favorite pens ever. They come in so many colors and are thin enough so you can use them for writing notes and such, even though they are technically markers. I use them to write in my agenda, and they make note-taking so fun and colorful! Headphones // The few days that I forgot my headphones at school were the worst few days of the school year. Headphones are a must for listening to music while working, or watching YouTube videos if you have any down time in class (which I had a lot of last year.) I also like watching YouTube on the bus ride home because it makes the long ride pass by quickly. A Good Backpack // A strong, sturdy backpack makes all the difference. I've always used Vera Bradley's backpacks - they're extremely durable and are pretty spacious. This year, I'm using the same one I used last year - click here to see what I keep in it! A Good Lunch Bag // I'll be the first to say it - school lunches are gross. I always pack my lunch, and I take it in a Vera Bradley lunch sack! They come in so many different shapes and sizes, and are perfect for carrying around. I love the waterproof ones because I have a tendency to be messy, and the waterproof ones can be cleaned out easily. I actually haven't gotten around to buying one yet, so I don't have a picture to show you, but take my word for it - these lunch sacks are the best! 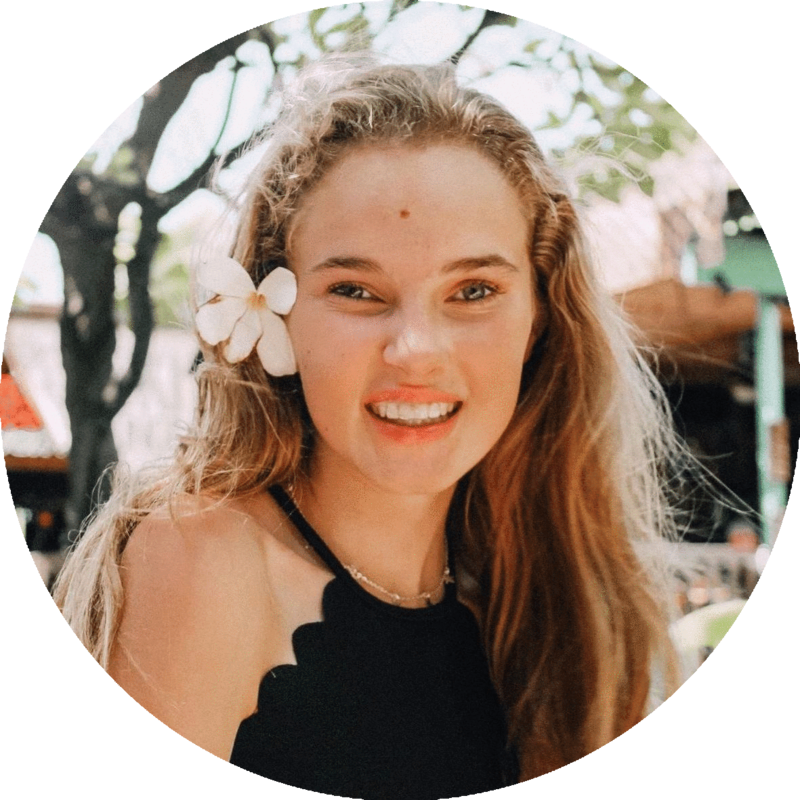 I hope y'all found this post helpful - I love sharing my necessities and favorites with you guys, so hopefully you love reading it too! 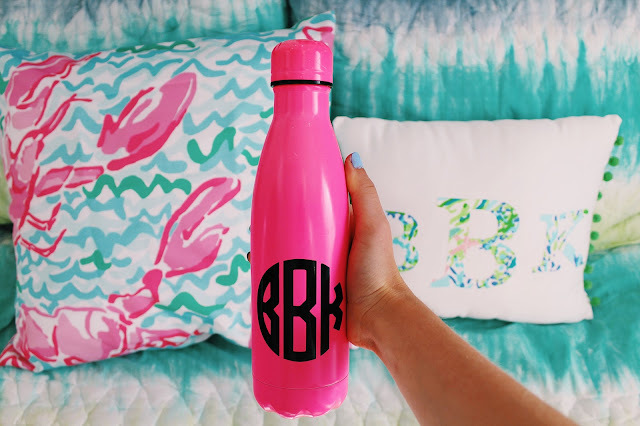 What are your must-haves for school? Let me know by leaving a comment below!